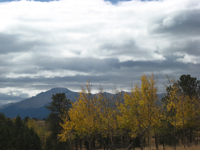 The Central Mountains of Colorado are not necessarily the easiest to get to from the Front Range or the Western Slope. Once there though, you’re in the heart of the Rockies. This drive is wonderful during the spring and summer, but it’s our featured loop for seeing some of the most stunning fall colors in the state. 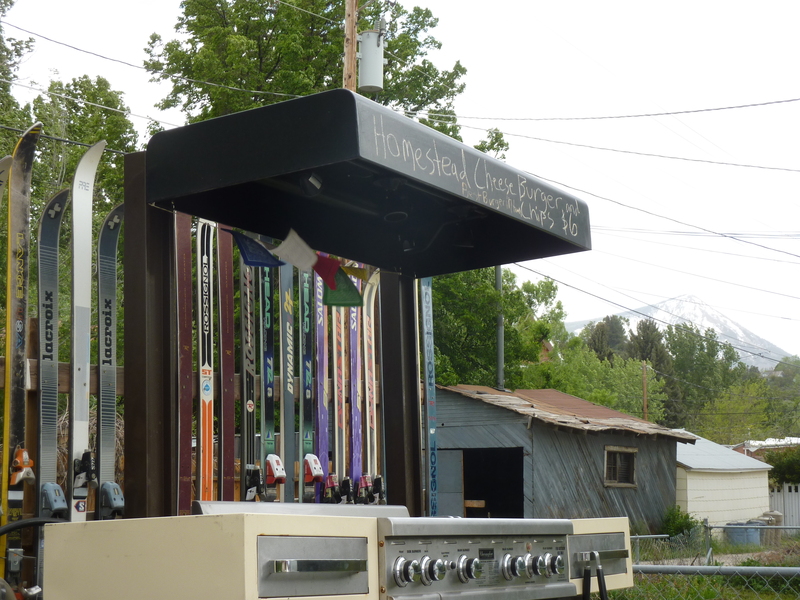 We recommend making this a weekend camping trip and connecting it to your exploration of breweries near the Arkansas River Headwaters. 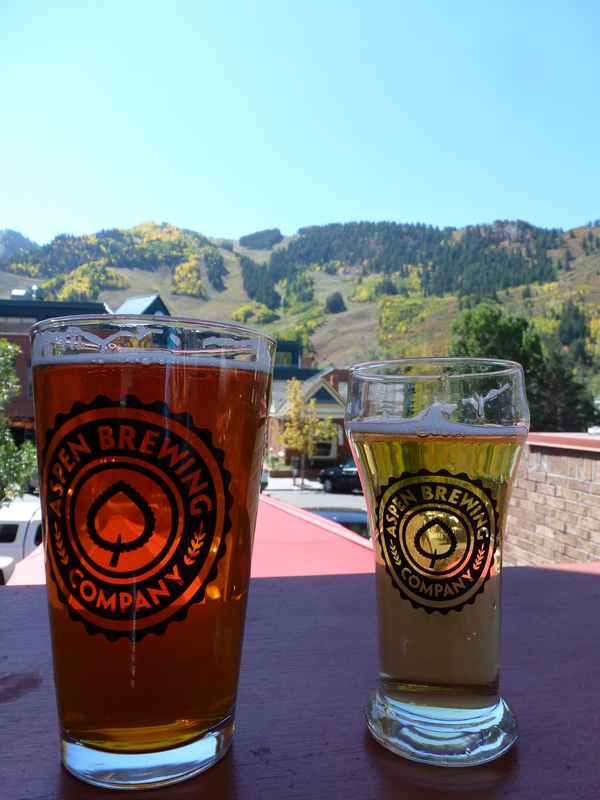 Aspen makes a great early lunch stop, and of course you’ll want to drop into Aspen Brewing Company along the main street. Head up the stairs to their tap room and try to get a spot on the deck for nice views of the slopes with a sampler tray. Whatever you do, don’t play the “every time a colorful leaf falls take a drink” drinking game. Yes, the beer here is delicious and this is a relaxing town in the fall, but there’s more to see . . .
Driving east out of town you’ll arrive in Carbondale, a place where a lot of Aspen locals live. Removed from the buzz of Aspen, Carbondale Beer Works offers a quiet, hometown brewery. Their happy hour starts at 4:30 everyday when they open, which is a good time for an afternoon snack. If you stay in this area later into the day, Carbondale Beer Works is known locally for its jam sessions and music nights. Though a little out of your way, another option for an earlier happy hour on this fall color drive is to head south from Carbondale on 133 to Paonia, home of Revolution Brewing. We featured Revolution this summer as a Beautiful Brewery in our “4 Beer Gardens Not to Miss” post, and they are definitely worth the visit for both beer and atmosphere. Revolution is also a great brewery to connect to a Colorado Wine Country trip. Back north on 133, between Carbondale and Paonia, you’ll see a turn off for Kebler Pass and Crested Butte. Dirt roads might scare you, but this one absolutely should not. 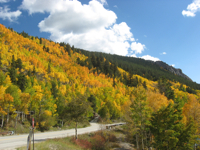 You’ll travel through one of the largest Aspen groves in the world, making this the climax of the drive during the fall (make sure you start this section of the drive before sunset). There are several locations along the road and near Crested Butte for camping, unless you head south on 135 to Gunnison (with ample lodging and a grassy KOA), as your final destination for the day. Along with Gunnison’s quintessential charm and college vibe, Gunnison Brewery on Main Street produces beer and food that make for a perfect dinner or lunch combo. If you get there between 4:00-6:00 help yourself to $1 drafts and say hello to the local Western State students who might be visiting the bar after a long day of classes and studying. 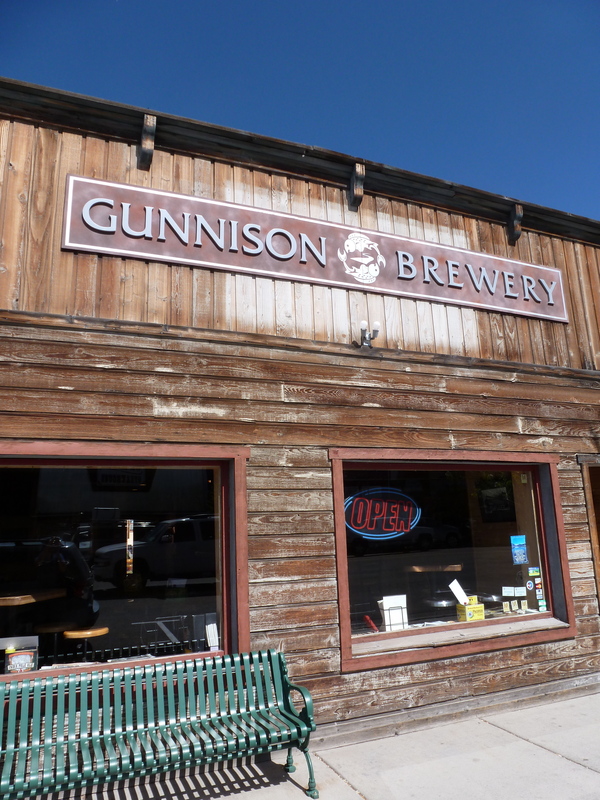 Gunnison Brewery makes good beer of their own and always has some delightful guest taps as well. If you scheduled a long weekend, or you didn’t soak in enough scenery and Colorado craft on this drive, head west over Monarch pass on Highway 50 with its usual fall color showing (which you’ll do anyway if you’re headed back to the Front Range), and complete the Colorado Brewery Days’ Arkansas River Headwaters scenic drive in reverse. Great catch. We’ve featured this spot for Eddyline in some new blog posts over the summer but didn’t get back to adjusting this page. All the edits are really appreciated. Thanks for reading.